Almost every golfer I see has a backswing that is too long. In general, the higher the handicap, the greater the chances that their backswing is too long. There are a number of causes for this. Trying to complete the turn and other similar cliches are one cause. 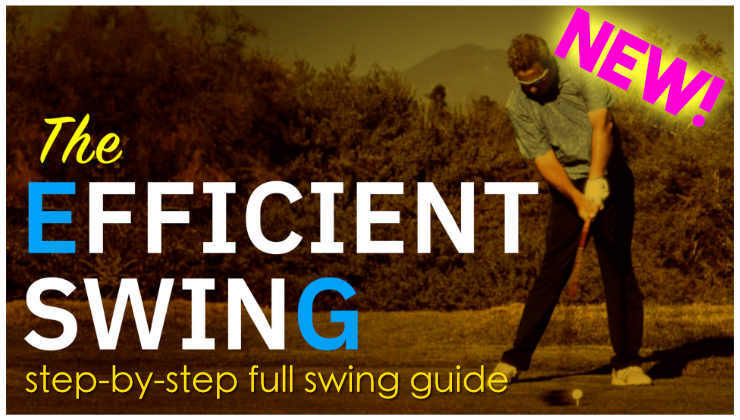 I have often stated that a golf swing is always going to be somewhat individualized, due to the unique physical makeup, body type, and skill level of a given golfer. But when it comes to backswing length, there are very few golfers who can get away with a massive backswing and produce an optimal downswing in response. For the vast majority, shortening their backswing will produce much better impact conditions, greater distance, and a better overall motion. For those that aren’t aware, “getting to parallel” is when the club is parallel with the ground at the top of the backswing. Some great players get there (or even past it), others don’t. Most don’t need to. 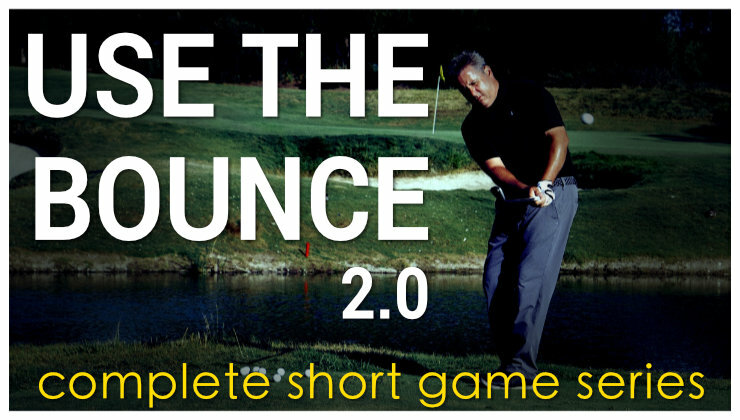 More importantly, most will do much better with a shorter backswing. By much better, I mean that they will hit the ball a lot further and with much better control. BUT A SHORTER BACKSWINGS FEEL POWERLESS! I hear this all the time on my lesson tee. And I understand. 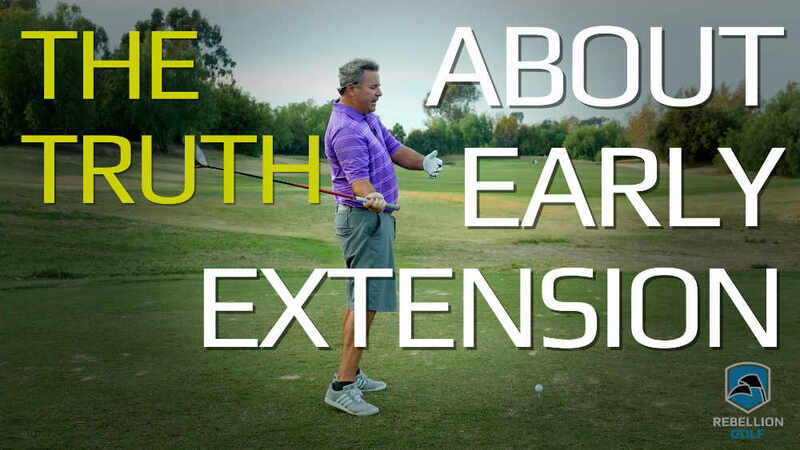 Those of you used to stretching your body to it’s absolute limit every time you swing the club are going to feel like you’re barely taking the club back with a shorter back swing. But feel is not real. You don’t generate speed in the downswing by taking the biggest backswing possible, especially when doing so puts your body and the club in a terrible position in the backswing. If you need more convincing about just how poor our perception of the backswing can be, take a look at this drill. That drill, (the no-turn cast drill for those following along) has improved the backswings of nearly every golfer I’ve ever shown it to, and yet it is based around the “feeling” of not consciously turning the body in the backswing. I have worked with many students who show up with a long, sloppy arm swing that produces 80 mph of club speed and 110 mph of ball speed. For those unfamiliar with those terms, that’s slow and short. I tell them that their backswing is too long. I have convinced them to shorten their swings, and even worked through the “but it feels powerless” phase by showing them the before and after of this change on a launch monitor. It isn’t uncommon for them to instantly go to 95 mph of club speed and 140 mph of ball speed. That’s an extraordinary increase in distance, simply by shortening the swing. “It feels powerless” tends to fall to the wayside pretty quickly when they’re hitting the ball 25 yards (or more) further. The key is figuring out how to sync your arms swing with your shoulder turn. For most golfers, it’s easier to improve this by focusing on one aspect of the backswing as opposed to thinking of it as two separate parts. Or, as I demonstrate in the no turn cast drill, most golfers instantly improve their backswings by focusing on setting their wrists and letting their bodies react to that. For some people, especially those with old injuries or mobility issues, the optimal backswing might stop when the left arm is parallel to the ground. That might sound really short and powerless, but I have many students who can pound the ball from that position. One of the keys to a good backswing is putting yourself in an ideal position for the arms to accelerate through the ball. That’s why massively long arm swings are so bad. Most people cannot get from the top back to the ball by accelerating. They’re too out of position due to the poor backswing, and will have to make compensations on the way down that put the brakes on building speed on the way down. And for a tiny number of golfers, getting all the way to parallel may be optimal. But for most, that backswing is too long. 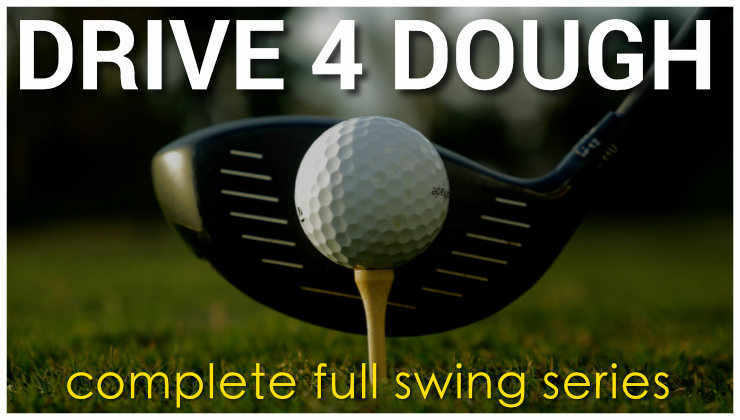 If you’re interested in a comprehensive video covering all of my keys to making a perfect backswing, check out my video Drive 4 Dough. Amen to this, Monte. If there is an “original sin” in the golf swing that gets the transition out of synch it is having the arms continue to rise after the shoulder turn is complete. A drill which helped me a lot is to stop completely at the point in the takeaway where the left arm (for a righthander) is parallel to the ground and the wrists are cocked 90 degrees. From this point, the hands and arms do nothing further – simply complete the shoulder turn a little bit and hit the ball. It’s amazing to me how simple the transition and downswing feel when doing this. I came to the conclusion that I was worrying about the perception of me and my game by others. I was looking for some acceptance by playing good golf…well, as I realized that my mood altered –> I didn´t complain any more and I automatically shortened by backswing as I probably thought: “For whom do you try to hit it that long; just enjoy the swing and the great contact you have with a shorter backswing”. Well, that lasted just some holes but it was great. Just found out this very thing about three weeks ago. I thought to myself that I should try to shorten my back swing and just try to take a 3/4 swing with everything. As a result my scores have dropped from high eighties and low nineties to Monday evening I shot a career best 77. Also since doing it to show it wasn’t a fluke I have had two rounds of 82 and one 80 also a nine hole 40. So I think this might be exactly what I needed. Wish I had seen this about 2 years ago. How far is far enough anyway? There is a wide discrepancy on tour regarding the distance needed for success. Tom Kite made gazillions hitting it short as did David Toms. Long hitters have done well too of course. Then there are long hitters who didn’t do all that well like Jim Dent and short hitters like “Radar” who were less than spectacular. So how far is far enough? Played around like this yesterday, ball definitely has more pop in it. Only negative was I was hitting my wedges even further. Funny you mention this thread because when I came across it earlier in the week I immediately thought of you! Anyway, I at times have the problem of taking too long a backswing. I know I need to shorten it, but the issue is when I take a short backswing, I feel there is no “power” available. And I think this is because I take the club away too far to the inside, so my arms are crashing against my chest. When I synch my turn better and allow the club to go back on a more natural arc, then I can shorten the swing and create better speed, contact, and distance. Does this assessment make sense or am I completely off my rocker here? Monte speaks the truth! But a shorter backswing has proven tough for me to stick with, because golfers like me are seldom satisfied. “If I hit it there with what feels like hardly any backswing, just wait till I take it all the way back. Isn’t bigger always better? I believe video and a pro like Monte are essential in this, because feel is clearly not real, especially on the backswing. If the arms get ahead of the body turning back, I cannot stop the armswing and it feels utterly powerless at transition time. If I make a free early hip turn and try to keep in synch or even have the arms “lag” behind, I feel a bit more powerful when I start down, but still have a hard time doing it right when hypnotized by the ball in an actual shot. I have been battling this neurological disease for 20 years. Interrupting the backswing with a downswing (after half a BS) works sometimes for a bucket or two, it actually shortens the swing and you have to use your whole body to reverse the arm unit going back, but gives a lot of shaft lag that I am not talented enough to handle. 9 to 5-like drill with free hip turns and wrist set continuously grasswhiplike is not a strong enough cure in my case. I await the definite 3 minute video on how to do this right. 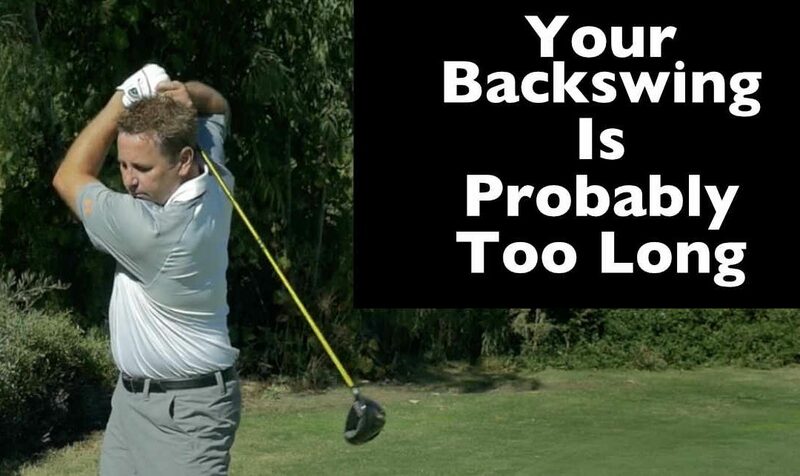 The worse the golfer, the more likely their back swing is to long. I came to the conclusion that a shorter back swing gives me a more balanced down swing with more control. It’s not easy to change or trust this at first but the results are there to be seen. 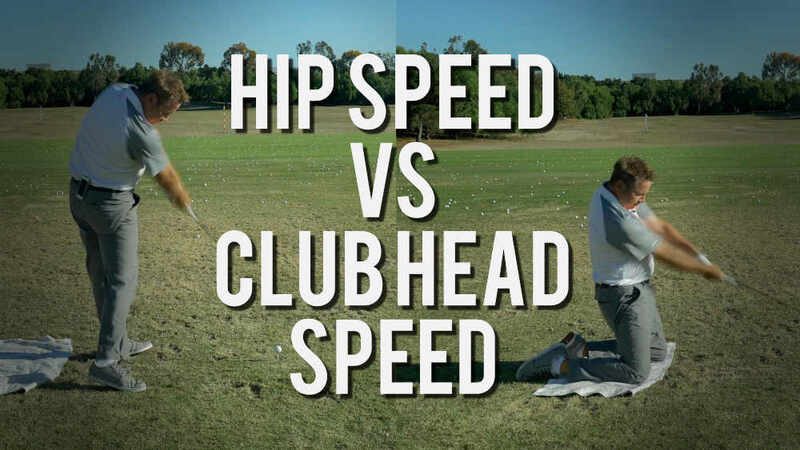 If you can move your right hip (right handed players ) straight back with a shorter back swing I’m sure with time you will be able to generate more club head speed with better timing and more consistent results. I am very happy with my game after these two changes. The Doug Sanders swing would be worth trying. What do you recommend for shortening the backswing with a driver and other longer clubs. I’ve used the no turn cast drill and it works great with my shorter irons, but the longer the club gets the weirder it feels and doesn’t work. 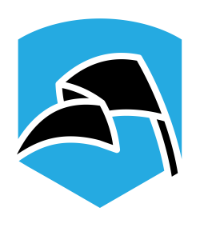 I’ve gained about 10-15 yards with all my wedges and 8 and 9 iron, sometimes 6 and 7, but 5 iron and up I’m struggling with… Any recommendations? Been working on this for the last 3 weeks religiously. It’s magic. Shot 75 yesterday, after being mired in the mid-80’s all summer, and really didn’t feel like I played great. Simple and solid, what a difference!